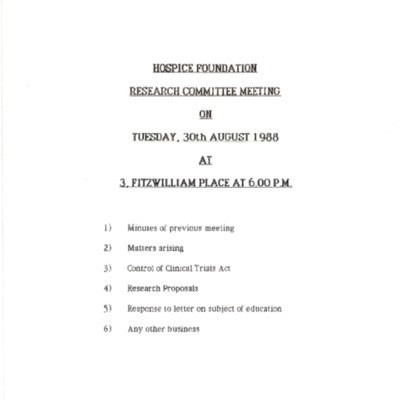 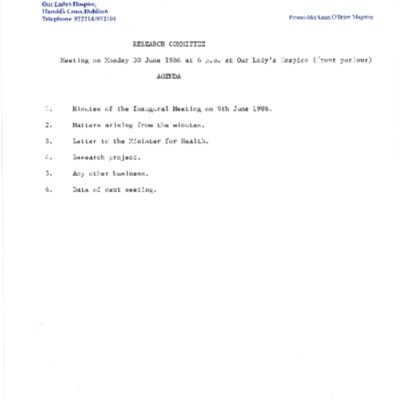 An agenda for and minutes of the Irish Hospice Foundation Research Committee meeting on August 30, 1988, held at 3 Fitzwilliam Place, Dublin. 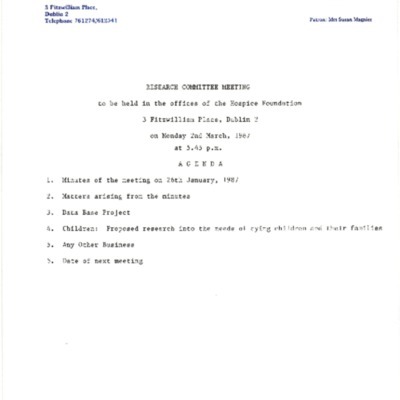 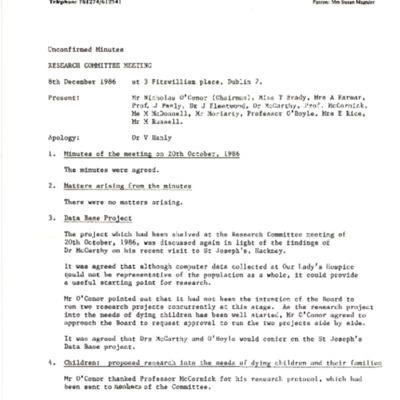 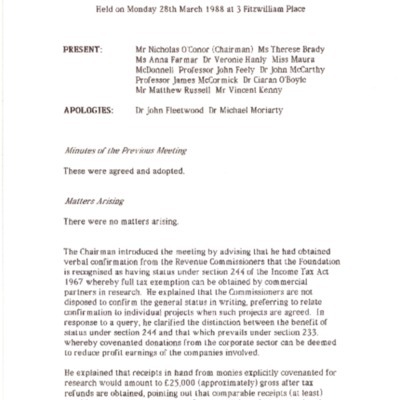 Minutes of the Irish Hospice Foundation Research Committee meeting on March 28, 1988 held at 3 Fitzwilliam Place, Dublin. 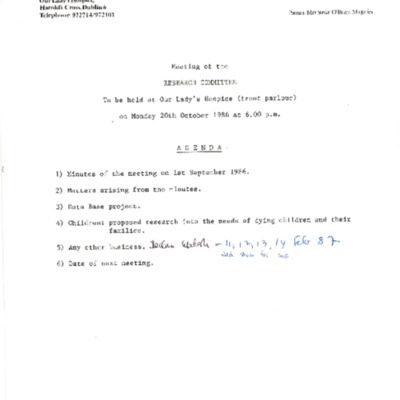 An agenda for and minutes of the Irish Hospice Foundation Research Committee meeting on October 20, 1986, held at Our Lady's Hospice. 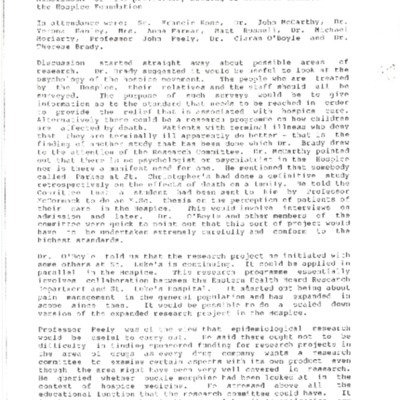 An agenda and the minutes of the Irish Hospice Foundation Research Committee meeting on June 30, 1896, held at Our Lady's Hospice. 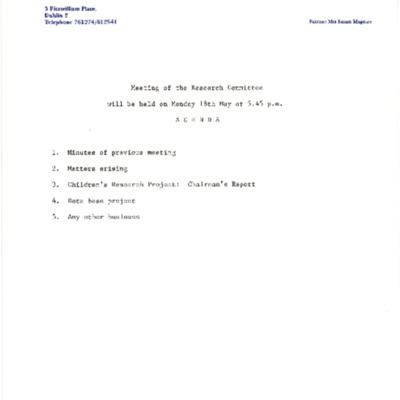 A memorandum about the preliminary meeting of the IHF Research Committee, including discussions on what areas of research the Foundation should explore and early thoughts on the official research policy.